MUTUAL GROUP | MUTUAL FOODS LTD.
Mr. Azim Uddin Ahmed is the founder and currently the Chairman of Mutual group. Mr. Azim started trading business in 1962 at a very early age while he was student. He is one of the few Bengalese to be established as a prominent businessman in pre liberated Bangladesh and prospered further after liberation. He is also the sponsor Director of Southeast Bank and Member - Board of Trustee of North South University, the leading private university in Bangladesh. A well respected leader in business community he has served executive committee of different trade bodies in repeated tenure, namely Federation of Bangladesh Chamber of Commerce (FBCCI), Dhaka Chamber of Commerce, Bangladesh Indenting Association, and Bangladesh Association of Bankers (BAB). He is currently the president of Bangladesh Consumer Product Manufacturers and Marketers Association. 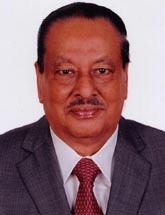 Reputed as a very social and humble person, he was President of different social organizations, namely, Gulshan Club, Baridhara Society, and Rotary Club for consecutive tenures. He also volunteered in foundation of many schools and Madrasas. Mrs. Duluma Ahmed, spouse of Azim Uddin Ahmed graduated from Dhaka University one of the Director of Mutual Group. She also holds Director Position in Arla Foods Bangladesh Ltd. and Southeast Bank. 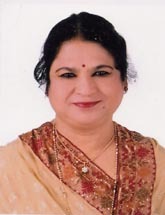 She is actively involved with number of social welfare organizations, namely, Inner Wheel, Gulshan Ladies Club, Benukashilpo Goshti. An ardent advocate of education, she founded Duluma Azim High school and Fatema Farzana Kindergarten School in her home village near Feni. She regularly supports the community service with a number of organizations. 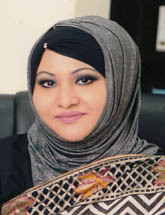 Farzana Azim is the leading director of Mutual Group. She is currently the Managing Director of AD Holdings Ltd, the brokerage firm in Dhaka Stock Exchange. She is also one of the board Directors of Arla Foods Bangladesh Ltd and was former Director and founder sponsor of Southeast Bank. She did her Masters in English Literature. She is widely reputed as a very humble and social personality. She is actively involved in number of social organization, namely, Gulshan Club, Uttara Ladies Club, Baridhara Society, Baridhara Cosmopolitan Club etc.